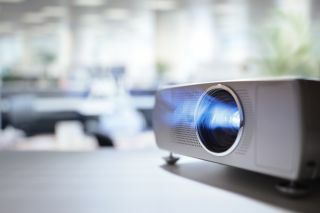 AV Technology Managing Editor Cindy Davis discusses the latest technology and benefits to users of 4K projectors with Sony's Director of Sales & Marketing of Visual Presentation Solutions Kevin O'Connor. With CES around the corner, this podcast reveals the differentiating aspects of these offerings, such as improved contrast ratios, deeper native resolution and color brightness. Click the SoundCloud link below to listen to the interview.